As reported by Deadline, classic Tom Clancy hero Jack Ryan will soon be making the leap to TV thanks to Carlton Cuse and Michael Bay’s Platinum Dunes production company. Cuse will serve as co-showrunner on the project alongside writer Graham Roland (Lost, Fringe, The Returned), and apparently “multiple outlets” are bidding on it. Interestingly, despite Ryan being the protagonist in a bunch of Clancy books (and a handful not written by Clancy), this show will reportedly avoid directly adapting any of them and will offer “a new contemporary take on the character in his prime” instead. 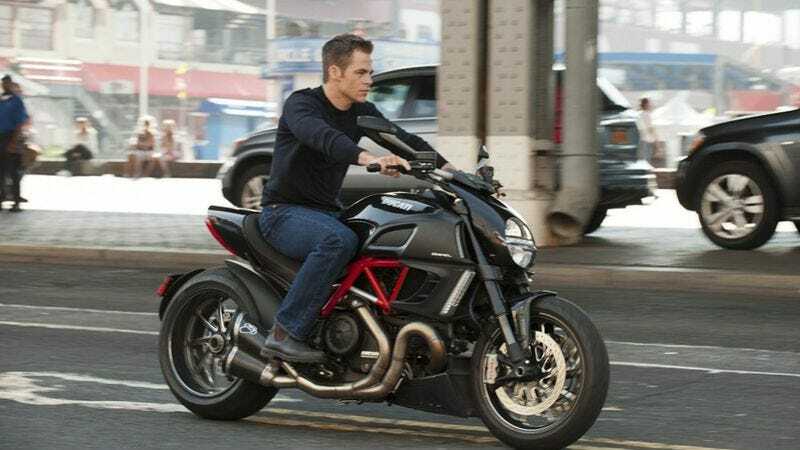 There have also been five Jack Ryan movies, with Alec Baldwin, Harrison Ford, Ben Affleck, and Chris Pine all taking a turn as the generically heroic CIA/Navy guy. As Deadline points out, this lack of actor consistency will be a nice boon for the show, since it won’t have to worry about competing with an iconic cinematic portrayal of the character. Still, Hannibal faced that challenge and it did a phenomenal job casting its eponymous villain, so maybe the Jack Ryan show should take that as a lesson and just hire Mads Mikkelsen to star.